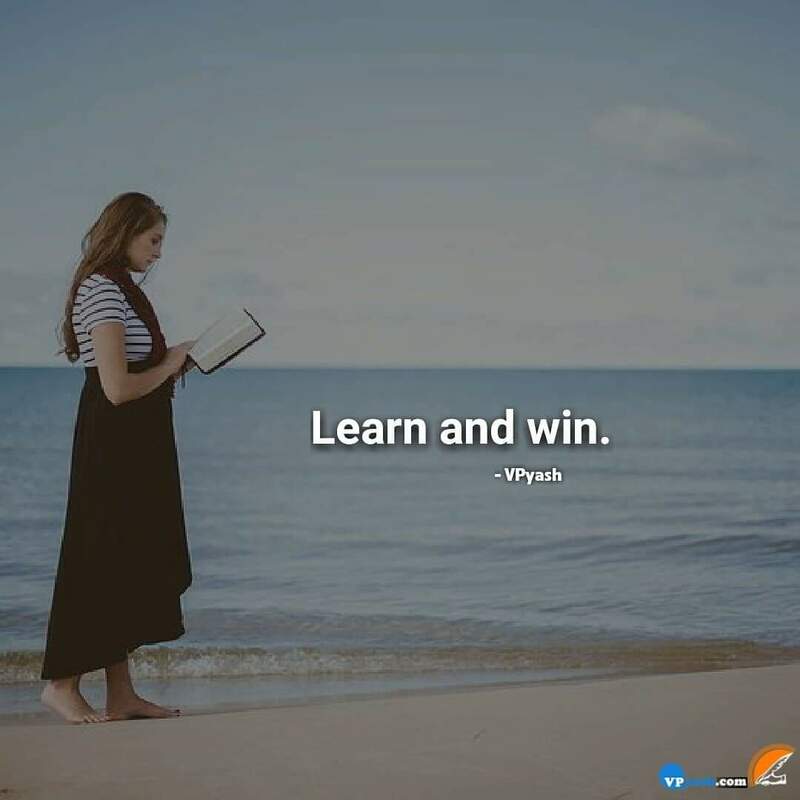 If you wanna win this race then be willing enough to learn in the first place. Life is a race and this race can only be won by being capable enough to run for the long distance. For this, you need to be a good learner as without knowledge you won't be able to survive in this race. Just make yourself a curious learner. As such learners always get what they dreamt for. Learning not only means to know about a particular subject or reading books but learning also involves to know about the things around you. Things which are happening around you also holds significance. Just don't ignore such things and take good lessons from them to be a better person.